The ex-K157 tender frame being prepared for V499 seen at Maldon on 23 May 2015. This photo is courtesy of Jonathan Newton / Victorian Steam Locomotive Company P/L. The American-built V-class 2-8-0 locomotives represented a significant step forward in Victorian Railway’s locomotive practice, being much larger than the English style 0-6-0 locomotives then in use for freight duties and the forerunners of larger 2-8-0 freight locomotives that followed. Pattern engine V 499 was supplied by Baldwin Locomotive Works in 1900 (builder’s number 17396) and represents a classic Baldwin product of the time, with similar units provided to railways around the world. V 499 featured the Vauclain Compound system which significantly improved fuel efficiency; this innovation was patented by Baldwin and popular around the turn of the century. The V-class settled into heavy freight duties on the more challenging main routes until superseded by more modern steam locomotives. Like most Vauclain compound locomotives worldwide, they were rebuilt to simple expansion as heavy overhauls became due, the improved fuel efficiency apparently being outweighed by higher maintenance costs due to uneven crosshead forces between the high and low pressure cylinders. Withdrawal and scrapping started in 1924 and the last of the V-class was pattern engine V 499 which was scrapped in 1930, well before the preservation era. In recent years the Victorian Steam Locomotive Company (commonly known as Vicsteam) has formed to create a replica of V499. Initial progress centred on design work, creation of engineering drawings and the collection of parts. 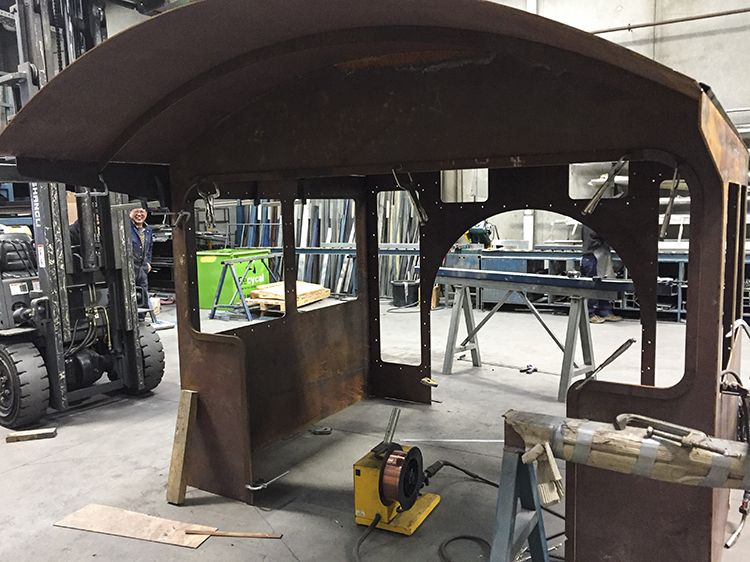 In recent developments the project has made significant progress on the tender, with a frame and bogies acquired and an antique tender body recovered after decades in use as a roadside tar holder. 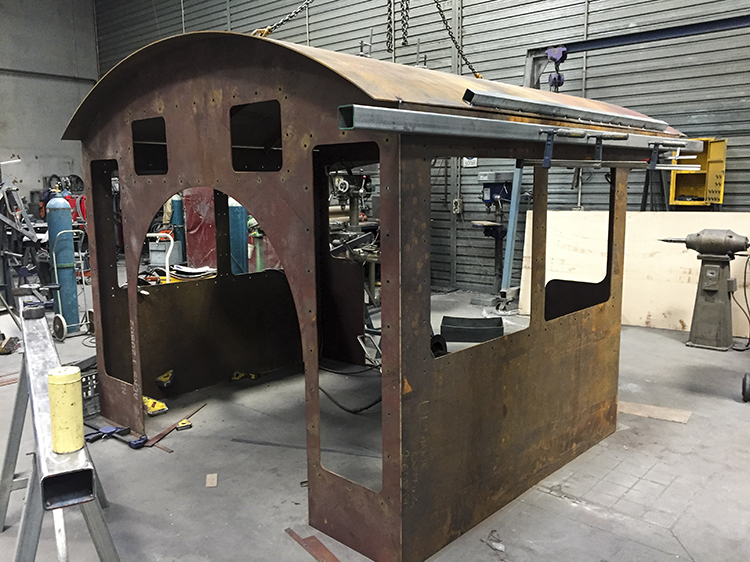 The new cab for V499 has been constructed (photos below) and is stored at Maldon on the Victorian Goldfields Railway where the locomotive is being built. 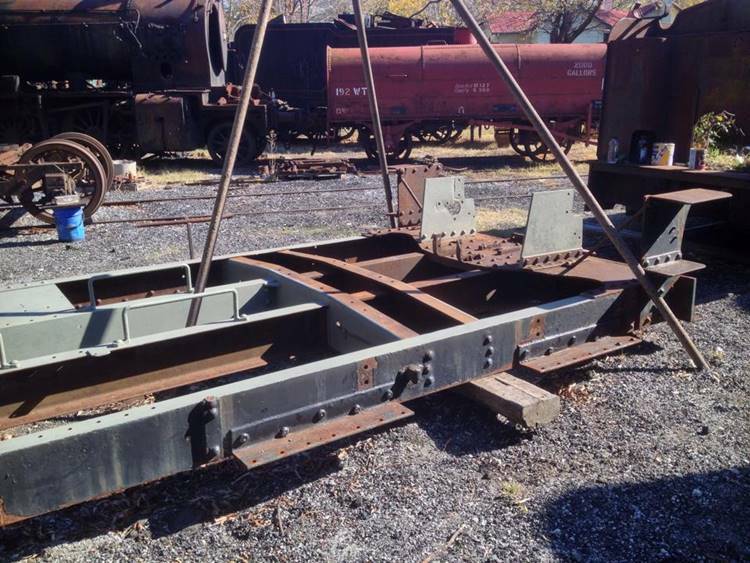 The Vicsteam site provides detailed monthly newsletters and photographs for the V499 project. 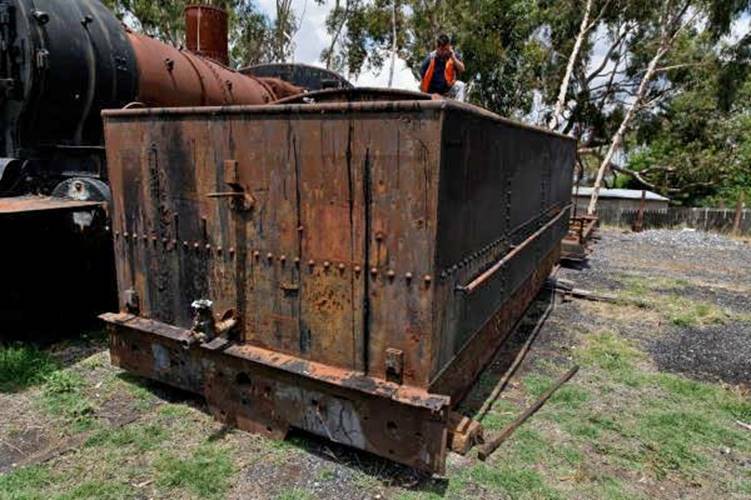 A surprising story relating to the V-class is the extraordinary discovery in China of a very similar 5’-gauge Baldwin Vauclain compound 2-8-0 during 2005. Excavations near a bridge over the Lalin River (between Jilin and Heilongjiang) revealed Baldwin Builder’s Number 16117 of 1898 which had been buried for over 70 years, presumably following an accident or war action. 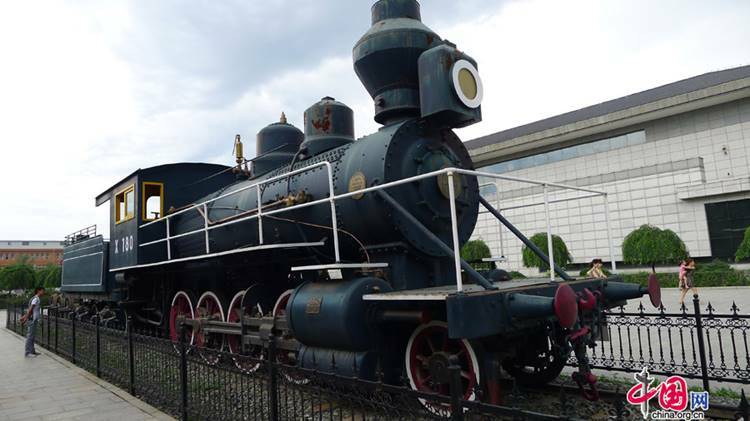 This locomotive and tender have since been exhumed, restored and placed on static display for museum display at the Changchun Puppet Imperial Palace. (This museum gains its intriguing name from the period of Japanese occupation in China and creation of the puppet state of Manchukuo, ending in 1945.) Rob Dickinson’s excellent World Steam site contains further information and photographs of this locomotive. Wikipedia provides a useful history for the Victorian Railways V-class steam locomotives while another page describes the Vauclain Compound system. Baldwin B/N 16117 of 1898 as displayed at the Changchun Puppet Imperial Palace, China. The Vauclain compounding is clearly visible; in this case the low-pressure cylinder is above the high-pressure cylinder. The antique tender tank recently recovered for the V 499 project is seen at Maldon on 5 December 2014. 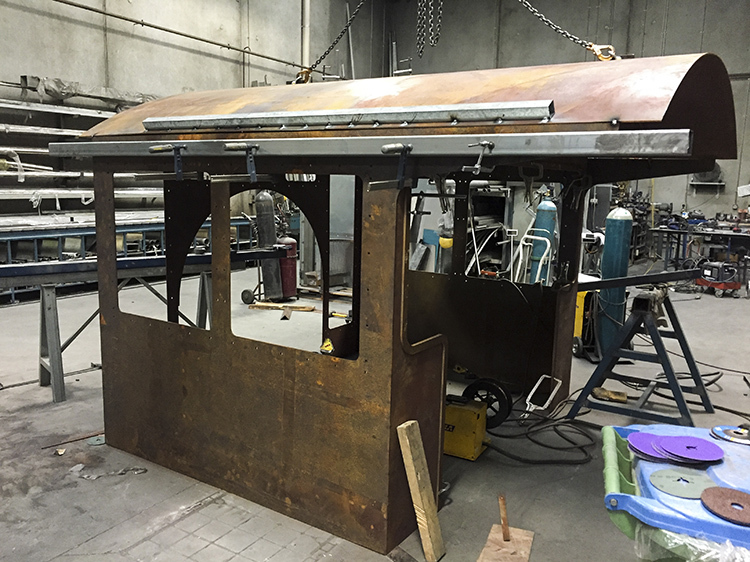 The tender frame being prepared for V 499 is immediately behind. V499’s cab under construction, as seen on 28 June 2017. The three photos of V499’s cab are courtesy of Jonathan Newton / Victorian Steam Locomotive Company P/L. Side view of V499’s cab under construction on 28 June 2017. Third view of V499’s cab under construction on 28 June 2017. 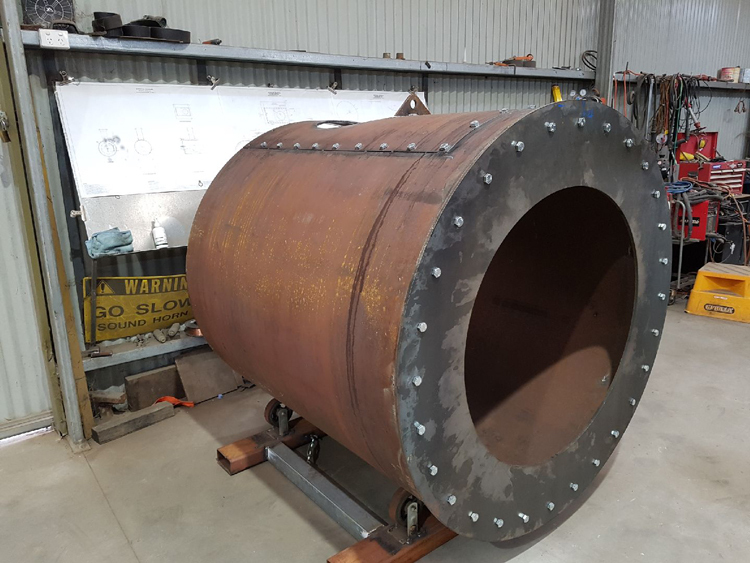 V499’s newly-constructed smokebox, as at September 2018. This photo kindly contributed by Jonathan Newton / Victorian Steam Locomotive Company P/L. Australian Railway Historical Society (Victorian Division), 2002.
published 2010 by Rosenberg Publishing Pty Ltd.